In Vanuatu climate change is likely to impact all sectors especially agriculture, water, coastal and marine resources and infrastructure as well as tourism. Agriculture is entirely rain-fed and is susceptible to changes in rainfall distribution. Intense and prolonged rainfall could damage seedlings, result in greater run-off and soil erosion and encourage conditions that promote pests and diseases. Drought combined with higher temperatures could cause added thermal stress on plants. Projected increases in sea surface temperatures combined with increased ocean acidification (from increased CO2 concentrations in the atmosphere) are likely to put pressures on the marine food chain (particularly reef systems and other calcifying organisms such as planktons) which in turn potentially threatens aspects of marine food supply and associated livelihoods. The incidence off vector-borne disease such as malaria and dengue fever, and water-borne diseases such as dysentery and diarrhea are likely to increase and shift in distribution (malaria likely to extend further southwards). There is a high level of awareness among key stakeholders in Vanuatu of the risks posed by the hazards associated with climate change and natural disasters. Vanuatu is the only Pacific Island Country to have completed both a National Adaptation Program of Action (NAPA) and a National Action Plan (NAP) for Disaster Risk Reduction. A recent Global Fund for Disaster Risk Reduction (GFDRR) stock taking exercise, building on the NAPA and the NAP, also identified priorities. The stock-take also emphasized the links between climate change adaptation and disaster risk reduction and the relevance of this approach for the Pacific Islands. Furthermore, the government is committed to follow through on the Hyogo Framework to integrate the management of climate change adaptation and disaster risk reduction. Additionally, there is a commitment to merge the National Advisory Committee on Climate Change (NACCC) and the National Disaster Management Committee (NDMC). This bi-monthly progress report details the various activities. This is the third of an ongoing series of VCAP bimonthly reports. This bi-monthly progress report details the various activities conducted from May to mid-July of 2015. This is the second of an ongoing series of VCAP bimonthly reports. Wenny Garaewoka – Budget Accountant, Ministry of Finance. Climate Change/Disaster Risk Reduction policy. The in-Country trainings will focus on all the modules: Module 1 “Overview of a CBA” for senior officials, Module 2 “the ABC of CBA”, Module 3 “The CBA Workplan”, Module 4 “Communicate CBA”, Module 5”Environmental Valuation” and Module 6 “Train the trainers”. Internal: Including CBA as a requirement for project and policy submission templates. Develop CBA guidelines for existing project and policies. Incorporate CBA into EIA process. Train Climate and Civil Society Program Managers to integrate CBA into their program design and implementation. External: recurrent CBA trainings for strategic planning and other officials. Establish inter-ministerial mailing and discussion group on CBAs and economic analysis of project and policies. PACCSAP will support the design of V-CAP and PACC CBAs. Additional funding for in-country training and the third case study could be harnessed from the V-CAP project or provided by development partners in the region. 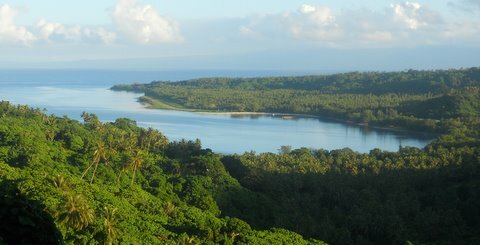 Like most small island nations, the coastal zone in Vanuatu is the country’s hub of economic activity. Best estimates of long term, systematic changes indicate that by 2050, sea level is likely to have increased by 20 cm. 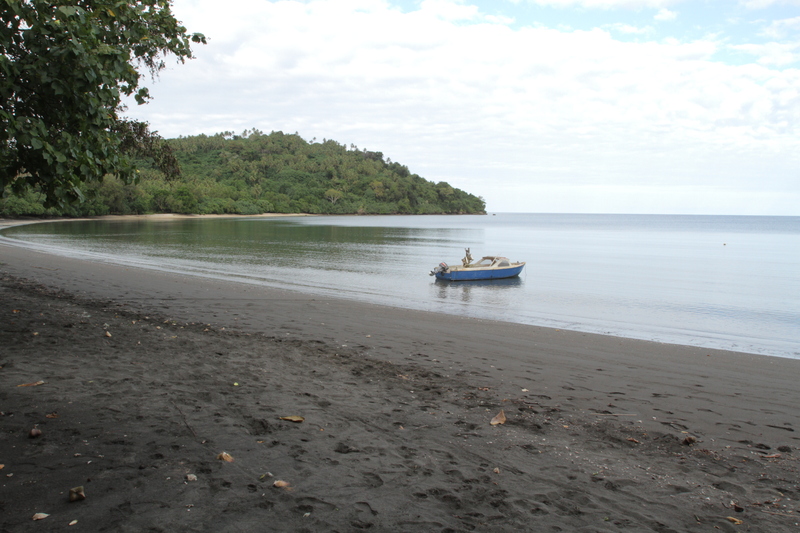 Thus in order to protect its economy it is imperative to enhance the adaptive capacity of the coastal zone in Vanuatu. 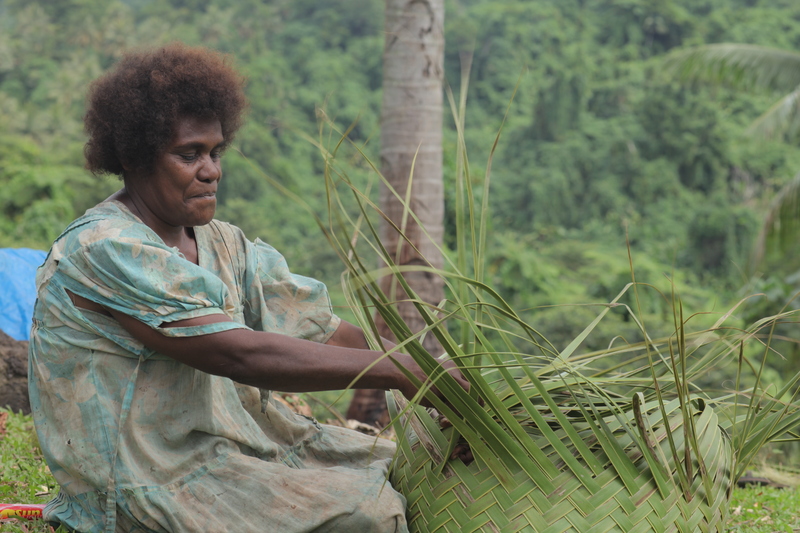 This UNDP-supported, GEF-LDCF funded Vanuatu Coastal Adaptation Project (VCAP) (2014-2018) focused on building resilience through improved infrastructure, sustained livelihoods, and increased food production. These efforts worked towards improving the quality of life in targeted vulnerable areas in the coastal zone of the island nation. The Vanuatu Coastal Adaptation Project (V-CAP) Video gives an overview of the effects of climate change in Vanuatu and details the work that the project is undertaking to address these challenges. Integrated community approaches to climate change adaptation through the formulation and mainstreaming of adaptation plans including risk management, preparedness and response plans (Output 1.1); rehabilitation of threatened coastal ecosystems and resources such as mangroves, coral reefs, and fisheries to support livelihoods and food production (Output 1.2); stabilization of coastal areas through re-vegetation and other ‘soft’ approaches (Output 1.3) and; improved resilience through climate proofing of selected public conveyance infrastructure in the coastal zone (Output 1.4). Climate change governance including review of legislation and national/sector policies with impacts on climate change adaptation (Output 3.1); capacity building of key national and provincial government agencies in areas of monitoring, evaluation and mainstreaming of climate-related policies and regulations (Output 3.2) and; empowerment of communities through participatory approaches in vulnerability assessments, planning and community-based adaptation measures and capacity building (Output 3.3). Knowledge management including the documentation and dissemination of best practices to all local and national stakeholders (Output 4.1) and; development of awareness, training and education programmes in Bislama and French (Output 4.2). See UNDP Transparency Portal for evaluation reports here. For news and updates, refer to the project's @VCAP_Project Twitter and Facebook accounts. 'Aniwa: The Island of Sweet Oranges', UNDP Pacific Office in Fiji, July 2018. Blog by Kevin Petrini, Resilience and Sustainable Development Team Leader & Climate Change Programme Specialist in the Pacific. 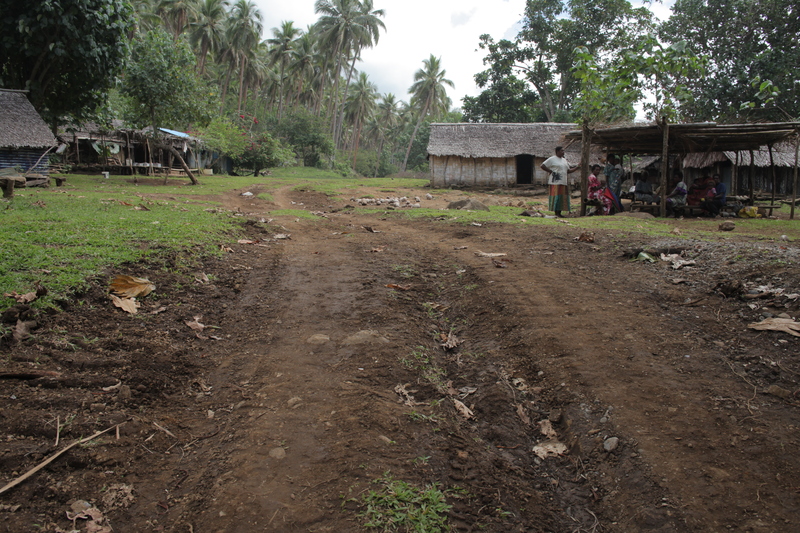 Climate-proof roads constructed in Pentecost, Vanuatu, under the Vanuatu Coastal Adaptation Project, UNDP Pacific Facebook, March 2018. 'Climate Change Minister tours Pentecost', Vanuatu Daily Post, February 2018. 'Vt200 million for VCAP in 2018', Vanuatu Daily Post, December 2017. Hand-over of Automatic Weather System, also monitoring volcanic activities, to Vanuatu Government at Ambae, UNDP Pacific Twitter, September 2017. 'New project to build long-term resilience to climate change', ReliefWeb, June 2015. Senior students of Epi High School felt privileged when they were chosen to construct the model of Epi island using a modeling technique known as Participatory 3 Dimension Modelling (P3-D), as part of a key community consultation process by the Pacific Adaptation to Climate Change (PACC) project on the island of Epi. With the help of students, each community members were able to use tagging pins and colored paper strips to label current physical features on the island as well as map out future developments recommended by each area councils. 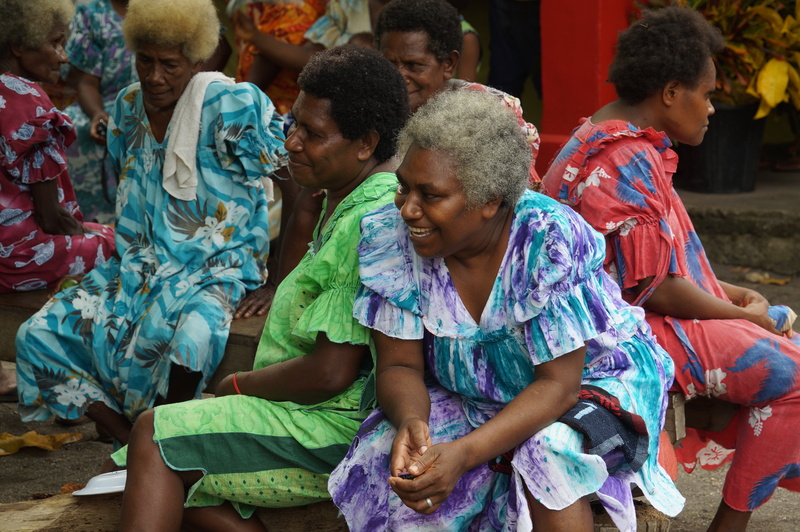 Classified by the UNFPA as one of the most vulnerable nations to natural hazards along with Solomon Islands in the South Pacific, Vanuatu faces the challenge of eradicating widespread poverty in the face of climate change.